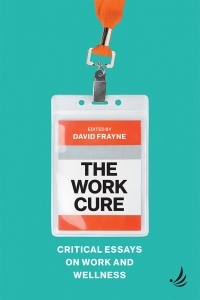 This provocative collection of essays presents a powerful critique of contemporary discourse that portrays work – paid employment – as a moral imperative, essential for our health and well-being. The contributors describe the mental health impact of modern-day workplaces, with their precarity and constant managerial scrutiny. They throw light on the emerging role of the psychologist and psychotherapist as agents of the state within the welfare system. And they question the deployment of mindfulness and other workplace ‘wellness’ initiatives in the place of more genuine and collective attempts to transform work. The Work Cure is an invitation to imagine a different kind of future, where employment no longer represents the chief source of security and meaning, so integral to our well-being. It is also essential reading for anyone who has doubted whether positivity, self-improvement and ‘resilience’ can really be the answer to work’s problems. PCCS Books is an independent mental health publisher. Our titles broadly cover three main subjects – counselling and psychotherapy, mental health and madness, and survivor and service user perspectives. We want a better deal for everyone who seeks help for emotional distress – better understanding, better responses, more choices and better outcomes. Our aim is that our publishing reflects that goal.